HP Inc. offers two types of thin clients -- desktop cloud clients and mobile cloud clients. The desktop cloud clients include the t420, t520, t620 and t720, as well as the new t630 client with Blast Extreme support announced at VMworld 2016. The t420 is the cheapest of the bunch at $329. It runs on an AMD Embedded G-Series GX209JA SoC processor. The t420 runs its graphics through the processor, comes with software, including HP Device Manager and ThinUpdate, an image recovery tool, and only runs the Firefox browser. The t520 adds support for independent software vendors and Citrix HDX Ready Premium. With the t620, users can work with up to four monitors, two of which can be HD displays. Finally, the t720, which is the most expensive at $779, allows for quad UHD/4K displays -- the first thin client to do so. The mobile clients, which are thin client laptops, include the mt245 and mt42. The $699 mt245 runs Windows Embedded Standard 7P tools and has the Write Filter tool to fight against unauthorized updates and viruses. It is designed with VDI in mind and works well with peripheral devices, including printers. 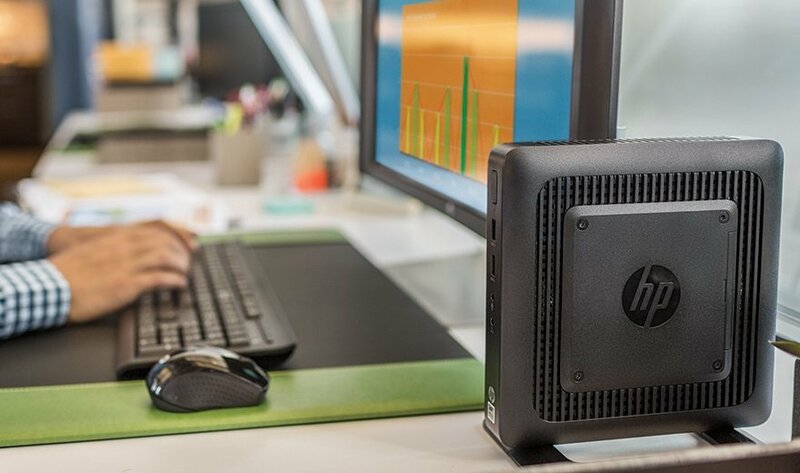 The mt42, the most expensive HP Inc. thin client, costs $1,149. It can run Windows 10 IoT Enterprise, works with VMware, Citrix and Microsoft virtualization products, and boasts multimedia redirection. Do you prefer HP's desktop thin clients or laptop thin clients?